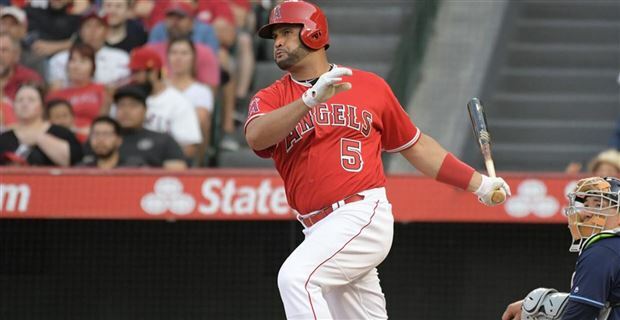 Senior Fantasy Baseball Expert Shawn Childs previews the Los Angeles Angels as we approach the 2018 Major League Baseball season! The loss of Mike Trout for six weeks of the season absolutely killed any chance the Angels had of making the postseason in 2017. Over 35 games without him from late May until after the All-Star break, LA went 17-18 to push them to two games under .500. Los Angeles was a season-high five games over .500 on September 5th, but they lost 11 of their next 15 games to fall out of Wild Card contention. The Angles have missed the playoff in each of their last three years plus seven of the last eight seasons. They scored one more run (710) than they allowed (709). LA finished 25th in the majors in home runs (186) and 12th in ERA (4.20). Los Angeles did a nice job rebuilding their bullpen (11th in bullpen ERA – 3.92). In the offseason, the Angels moved on from 2B Brandon Philips, 3B Yunel Escobar, OF Ben Revere, and IF Cliff Pennington. They traded OF Troy Montgomery and P Wilkel Hernandez to the Tigers for 2B Ian Kinsler. In mid-February, LA added OF Chris Young and 1B Chris Carter. Carter will need to make the club out of spring training after landing a minor-league deal. Los Angeles shipped C.J. Cron out of town in February, which creates an opening for at-bats at first base. Their big addition in the over the winter was Shohei Ohtani who will get a chance to bat as well as be an elite front of the rotation arm. LA signed Zack Cozart to take over third base plus Rene Rivera was added for catching depth. RP Jim Johnson was acquired to added depth to the bullpen for P Justin Kelly. This team has a chance to be more competitive in 2018 with a healthy Garrett Richards and Tyler Skaggs. Los Angeles should have more length in their starting lineup with their new players and a full season of Justin Upton. Overall, they can’t match the depth or talent of the Houston Astros. LA still has tons of risk in the starting rotation even with upside in just about every pitching slot. Their bullpen doesn’t have a clear-cut closer, and it will have a tough time matching the 2017 bandaid season. The Angels will try to win their way into the playoffs in 2018 via the Wild Card. Kinsler showed strength in his average hit rate (1.746) for the second straight season after falling flat in this area from 2013 to 2015. He continued to score a high percentage of runs (49 percent of the time when on base in 2017), but he lost his ability to make hard contact (CTBA – .280) setting up a career low in batting average (.236) and RBI rate (11). Ian made a trip to the DL over the first half of the year with a hamstring issue. Most of his failure came against righties (.225 with 16 HRs and 37 RBI over 436 at-bats) while doing a nice job vs. LH pitching (.278 with six HRs and 15 RBI over 115 at-bats). Kinsler hit 13 of his 22 HRs over the last two months of the season, but he only had a .226 batting average after the All-Star break. His swing path still produces a high volume of fly balls (46.5 percent in 2017 and 44.3 percent in his career). HIs HR/FB rate (10.2) has never been higher than 12.5 percent while averaging 9.2 percent for his career. Solid major league bat who has value in three categories (runs, HRs, and SBs). Hitting in front of Mike Trout will hold his value in runs, and a fresh start may lead to a nice rebound in batting average. His CTBA has been under .315 in four of the last six seasons, so his ceiling in batting average is only about league average. Ian has a league average walk rate (8.5 in his career) while being tough to strikeout in most seasons (14.0 percent in 2017 and 12.4 on his career). Possible .270 with 100+ runs, 20+ HRs, 70+ RBI, and 10+ SBs. A left thumb injury cost Trout six weeks of the season. His final stats projected over 550 at-bats would have been (126 runs, 45 HRs, 99 RBI, and 30 SBs). He had a career in his average hit rate (2.057) while his CTBA (.394) fell under .400 for the first time in his career. Mike had the best approach in his career (career low K rate – 17.8 and career-high walk rate – 18.5). His only negative was a step back in his RBI rate (14) while his RBI chance (283 – 387 projected over 550 at-bats) remained low due to the weak supporting cast in from of him in the batting order. Trout had almost all of his success against RH pitching (.313 with 30 HRs and 61 RBI over 320 at-bats). Over his first 47 games, he hit .337 with 16 HRs, 36 RBI, and ten SBs over 163 at-bats). His bat did fade in September (.237 with six HRs and 11 RBI over 117 at-bats). Mike regained his FB swing (44.9) in 2017 while posting his second-highest HR/FB rate (23.2) of his career. One of the best five-category players in the game while just reaching the prime of his career. He may have the best supporting cast around him of his career in 2018. Possible career best in just about average category – .333 with 130+ runs, 45+ HR, 120+ RBI, and 30+ SBs. 2017 was the best season of Upton’s career. He set career highs in double (44), HRs (35), and RBI (109) while showing growth as a run producer (19 percent RBI rate). Justin had growth in his AVH (1.980) and CTBA (.403). His speed (14 SBs) became relevant again. On the downside, Upton had a huge K rate (28.4) for the second straight year. He did take the most walks of his career (14.8 percent). His best overall run came in June, July, and August (.299 with 51 runs, 19 HRs, 69 RBI, and five SBs). Over the last three years, Upton amp up his fly ball swing (44.1, 43.0, and 43.7). He set a career high in his HR/FB rate (21.2) in 2017. His career resume won’t blow you away, and he has somewhat underachieved his talent for his career. If he can play another ten seasons, Justin will be in the Hall of Fame. He’s almost halfway to 3,000 hits (1,467) at age 30 with a decent chance at 500 home runs. His veteran bat who will cost more in 2018. With the overall rise in HRs in baseball and a chance to hit behind or in front of Mike Trout, Upton may be even better this year. Possible .280+ batting average with a slight improvement in his K rate and repeated strength in his CTBA plus 90+ runs, 40+ HRs, 100+ RBI, and double-digit steals. Update: I’m more intrigued by Upton this year with the Angels projecting to him third in the batting order behind Mike Trout. Pujols needs 86 HRs to reach 700, 32 hits to reach 3,000, and 92 RBI to reach 2,000 for his career. His lack of foot speed continues to erode his batting average (.241) and runs scored (53). Last year Albert had another season with a weak CTBA (.286 – .277 in 2015). His AVH rate (1.601) had to be a career low leading to only 23 HRs. Pujols was still able to hit in the cutch (18 percent RBI rate) with continued strength in his RBI chances (449) thanks to Mike Trout hitting in front of him. His approach at the plate fades with each season added to his resume. Last year he had a career-high K rate (14.6), but it remains well below the league average (20.3). His walk rate (5.8) was the weakest of his career, and it was his seventh straight year with results under his career average (11.2). Albert was almost worthless against lefties (.230 with two HRs and 18 RBI over 139 at-bats). His HR/FB rate (12.0) was the second lowest of his career. Great career resume, but he’s not the same player. This season Pujols doesn’t qualify at first base, and he may even drop down another notch in the batting order. At best, .260 with 70 runs, 25 HRs, and 90 RBI. Calhoun fell short of expectations in 2017 due to a dropoff in his CTBA (.320) and a slight step back in his K rate (20.5). Kole did have a career-high walk rate (10.9). In each year in the majors, he has a 16 percent RBI rate, which is above the league average (14.0). Calhoun struggled in his first 195 at-bats (.205 with five HRs, 16 RBI, and two SBs). A nice in June (.319 with five HRs, 23 RBI, and two SBs over 113 at-bats) pushed his stats back in the right direction, but he had an empty July (.169 with three HRs and six RBI). Over the last two months of the season, he hit .272 with six HRs and 26 RBI over 184 at-bats. Kole struggled vs. lefties (.223 with five HRs and 13 RBI over 166 at-bats). His HR/FB rate (12.3) fell in line with his career average (12.6) while hitting a few more ground balls (43.9 percent). With no growth in his AVH (1.604), it’s tough to predict a bump in power. Pretty much a league average hitter in batting average with a chance to be league average in runs, HRs, and RBI while chipping in with a handful of steals. His approach is strong enough to hit near the top of the order with a good start to the year. After drifting through the last three season with an empty swing and boring stats lines, Simmons became relevant in the Fantasy market in 2017. He had a career-high 19 steals with a rebound in power (14 HRs – 17 HRs in 2013). His AVH (1.512) moved to an area where 15+ HRs could be the norm going forward. Andrelton has always been tough to strikeout (9.2 percent in his career and 10.4 percent in 2017). He set a career high in his walk rate (7.3) last year. His batting average does have limited upside due to his low CTBA (.314), but it did improve in each of the last three seasons. Simmons did have some growth in his swing path in 2017 (49.5 percent GB rate and 31.5 percent fly ball rate). When he had his best season in power in 2013 with the Braves, Andrelton had his best GB/FB ratio (1.08) thanks to a better fly ball rate (39.1). He hit the ball well against righties (.290 with 11 HRs over 451 at-bats). Simmons needs to do a better job vs. LH pitching (.239 with three HRs and 16 RBI over 138 at-bats). His production HRs and RBI was steady from May through August (2/14, 3/14, 3/13, and 3/13) before coming up empty in September (no HRs and eight RBI). His run in batting average came in June and July (.332) with a drop off over the last two months of the season (.232). The lack of length of his resume in power and speed will keep plenty of Fantasy owners away. Andrelton swings hard while making plenty of contact. He just needs more loft on his swing. His speed is a nice bonus and supported by his early minor league resume (44 SBs over 856 at-bats in 2010 and 2011 at rookie ball and High A. Next Step: .280 with 90+ runs, 20+ HRs, 75+ RBI, and 15+ SBs if he does get a chance to hit higher in the batting order. Valbuena had the second most HRs (22) of his career and a career high in RBI (65) despite a part-time role. He finished with a huge average hit rate (2.174 – career high), but his CTBA (.286) was well below 2016 (.360). Luis has strength in his walk rate (12.0) with fade his K rate (26.4). LA only had him in the lineup for 38 at-bats vs. lefties (.105 with one HR and six RBI). Valbuena struggled against RH pitching (.210), but he did hit 22 HRs over 309 at-bats. He missed the month of April with a hamstring injury. Luis did the most damage after the All-Star break (.213 with 16 HRs and 42 RBI over 174 at-bats). He had a career-high HR/FB rate (19.0) while continuing to hit a high volume of fly balls (47.3 percent – 42.7 in his career). Platoon hitter with no chance of seeing meaning at-bats vs. lefties. Possible 20+ HRs with 400+ at-bats and plenty of batting average risk. Cozart ended up being an extreme value play in the $5K auction league in 2017. After six relatively boring seasons in the majors, Zack broke through with a career high in runs (80) and HRs (24) despite having his season cut short due to a couple of stints on the DL with a lingering quad issue. Cozart had a huge step forward in his walk rate (12.2 – 5.3 in his career) while beating his career average (16.4) in his K rate (15.4). Over the first three months of the season, Zack hit .323 with nine HRs, 33 RBI, and two SBs in 223 at-bats. Even with some missed playing time, he played better over the second half of the year (.270 with 40 runs, 15 HRs, 30 RBI, and one SB over 215 at-bats). Both his CTBA (.361) and AVH (1.846) were higher than his previous success helping him sign a three-year $39 million contract with the Angels. Cozart was very good against lefties (.337 with six HRs and 12 RBi over 98 at-bats) while also being productive vs. RH pitching (.285 with 18 HRs and 51 RBI over 340 at-bats). At age 32, baseball players don’t suddenly turn into studs. I’d place my bet on .260 with 15 HRs and 60 RBI with his runs dependent on his slot in the batting order. After spending his whole season as a backup catcher, Maldonado had his best opportunity of his career with the Angels. He set a career high in runs (43), HRs (14), and RBI (38), but his overall results fell short of league average value as a C2 in deep leagues. His approach was exposed a bit due to the increase in playing time. Martin had a huge decline in his walk rate (3.2 – 13.8 in 2017 and 7.3 in his career) with a higher K rate (25.3). He hit 12 of his 14 hitters against RH pitching (.219 BAA). After a quiet April (.262 with no HRs and three RBI over 61 at-bats), Maldonado hit .248 over eight HRs and 21 RBI over 161 at-bats. He struggled over the second half of the year (.188 with six HRs and 14 RBI) as the bump in at-bats could have led to him wearing down. Low-value C2 with failure risk in every category except for HRs. Ohtani could be a dual threat in the majors, but his only playing time will at DH or pinch hitting. Over five seasons in Japan, he hit .286 with 48 HRs, 166 RBI, and 13 SBs over 1,035 at bats. His best season came in 2016 (.322 with 22 HRs, 67 RBI, and seven SBs in 323 at-bats). His walk rate (10.2) is very good, but he will strikeout (27.0 percent). His success in the majors will come via his right arm, but he will have some chance to swing the bat. Rene Rivera (C) – Rivera is expected to be the backup catcher for the Angels in 2017. Over nine seasons in the majors, he hit .220 with 36 HRs and 153 RBI in 1,316 at-bats. Rene has double-digit hit power with 300+ at-bats. His K rate (29.5) was a career high last year while having a low walk rate (5.7). Chris Carter (1B) – LA decided to sign Carter to a minor league contract in February to provide some insurance at first base. Chris struggled in 2017 (.201 with eight HRs and 26 RBI over 184 at-bats), which came a year after his best season in the majors (.222 with 41 HRs and 94 RBI over 549 at-bats). Possible stash player in an AL-only league. Kaleb Cowart (IF) Cowart is the early favorite to win the utility infield for the Angels. He’s only a .265 hitter in the minors in 2,963 at bats with 65 HRs, 429 RBI, and 114 SBs. His game has played well at AAA over the last three seasons (.301 with 27 HRs, 160 RBI, and 39 SBs over 933 at-bats). Kaleb needs to prove himself in the majors (.197 with five HRs, 23 RBI, and five SBs over 233 at-bats). LA may look to upgrade this option via free agency before spring training. Chris Young (OF) – The Angels signed Young in mid-February for bench depth in the outfield. He may work as a platoon option at DH with Luis Valbuena sitting down against lefties. Chris had a minimal opportunity over the last two seasons in Boston (.253 with 16 HRs and 49 RBI over 446 at-bats). In 2017, Young did struggle vs. LH pitching (.200 with one HR and five RBI over 100 at-bats) after offering more upside in 2015 (.327 with seven HRs and 24 RBI over 153 at-bats) and 2016 (.329 with three HRs and nine RBI over 73 at-bats). Eric Young (OF) – Eric will compete for the fourth outfield job. He has struggled to keep a job in the majors over the last three seasons (.214 with four HRs 21 RBI, and 19 SBs over 196 at-bats). Last season he gave the Angels 16 good games (.333 with three HRs, ten RBI, and six SBs over 54 at-bats). Young faded off into the sunset over the rest of the season (.196 with one HR, six RBI, and six SBs over 56 at-bats while striking out 20 times). His ticket to a roster spot will be his speed. Weak option, so I expect Los Angeles to improve this options before the season. Over the last two seasons, Richards only made 12 starts (2.31 ERA with 61 Ks over 62.1 innings). In 2016, he missed time due to a right elbow injury (UCL tear). He decided not to have TJ surgery, which is always a risky decision. After tossing 4.2 shutout innings with four Ks in his first start last year, Garrett landed on the DL for five months with a biceps issue in his right forearm. HIs AFB (96.2) remained elite while batters struggled to hit his slider (.136 BAA), curveball (.000), and sinker (.160 BAA). He had success against both RH (.173 BAA) and LH (.188 BAA). Over the last four seasons, Richards has a 29-21 record 3.06 ERA and 401 Ks over 438.1 innings. HIs K rate (8.2) will have more upside with better command (walk rate – 3.1). His injury path still scares me especially was his high draft value (ADP of 191 In the high stake’s market. Pitching for a contract and he’s had plenty of rest over the last two seasons. Garrett will have a wide range of outcomes in 2018: TJ surgery, a short season with good results, or ace type year with value in ERA and Ks. My bet is going on the avoid unless he’s just about free on draft day. 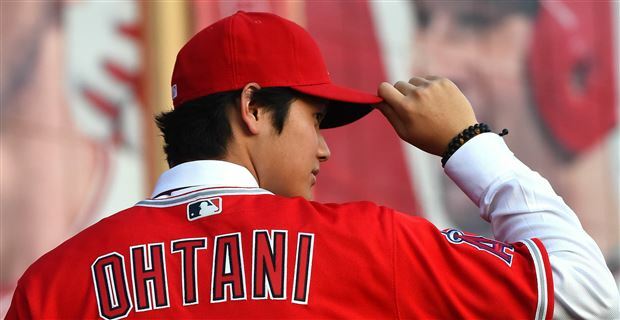 Over five seasons in Japan, Ohtani went 42-15 with a 2.52 ERA and 624 Ks over 543 innings. His walk rate (3.3) still needs some improvement while offering a plus K rate (10.3). His best season came in 2015 (15-5 with a 2.24 ERA and 196 Ks over 160.2 innings). His 2017 season was cut shut due to a right ankle injury and a left quad issue. Shohei has surgery on his ankle last October. After signing with LA, he suffered a UCL injury on his right elbow. Ohtani had a platelet plasma injection in November. He has an upper 90s fastball plus two swing and miss pitches – slider and split-finger. His pedigree is high, and most feel Shonei is an impact player. Torn here, I see the upside while understanding his injury risk heading into 2018. He’s never pitched over 165 innings in his career with short innings in 2017 (25.1). I’m sure he’ll be elite when he’s on the mound while failing to match the top aces in the game in innings. Sub 3.00 ERA with 200+ Ks if he can pitch 175 innings. Just like Garrett Richards, Skaggs hasn’t been healthy over the last few seasons. He had TJ surgery in 2014 while battling a forearm injury and an oblique issue over the last two years. In 2017, Tyler struggled in his first two starts (ten runs and 18 baserunners over 10.1 innings with ten Ks). He settled in over his next three outings (three runs over 19 innings with 19 Ks) before going on the DL three months with his oblique issue. His arm had more disaster than upside over the last 11 starts of the season (4.85 ERA and 1.46 WHIP with 47 Ks over 55.2 innings). Skaggs still walks too many batters (3.0 per nine) with mid-level K rate (8.0). He struggled vs. both RH (.276 BAA) and LH (.267 BAA) batters. HIs AFB (92.4) was a step below 2016 (93.4). He threw a curveball (.208 BAA) as his best pitch while his four-seam fastball (.290 BAA), sinker (.333 BAA), and changeup (.400 BAA) had risk. Based on his minor league resume (3.33 ERA and 612 Ks over 554.2 innings), Tyler still has upside. The talent to have a sub 3.50 ERA with value in Ks. His first step is staying healthy while doing a better job keeping the ball in the park while throwing more strikes. Worth a dance as his price points falls in the disposable range if he fails. Shoemaker allowed two runs or fewer in seven of his 14 starts, but his disaster side led to a 4.52 ERA and 15 HRs over 77.2 innings. His season ended in mid-June with a forearm injury that required surgery. Matt returned to the mound in late October putting him on track for a full recovery this spring. His issue was his forearm came from his radial nerve, not his UCL. Last season his K rate (8.0) remained in line with his career average while having regression in his walk rate (3.2 – 1.7 in 2016) and his HR/FB rate (1.7). His AFB (92.1) was slightly below last season (92.3). His best pitch in 2016 was his split-finger fastball (1.83 BAA). Each one of his pitches lost value in 2017 expect his four-seam fastball (.219 BAA). Shoemaker has 38-30 record over five seasons in the majors with a 3.87 ERA and 457 Ks over 514 innings. His command gives him more upside, but Matt has never pitched more than 160 innings in the majors. Double-digit wins with a sub 3.75 ERA and 150+ Ks. The common theme for the Angels’ starting rotation was disaster in 2017. Heaney made five starts last year, but he somehow allowed 12 HRs over 21.2 innings leading to a huge ERA (7.06) and WHIP (1.662). Andrew did flash in one of his starts (one run over six innings with ten Ks). His stuff did look playable over six starts in the minors (2.60 ERA and 29 Ks over 27.2 innings). In 2016, he had TJ surgery in early July. His AFB (92.7) was a career high over short innings last season. When Heaney is at his best, he throws a plus curveball (.161 BAA in his career) and a changeup that has upside. Over four seasons in the majors, Andrew went 7-10 with a 4.48 ERA and 132 Ks over 162.2 innings with his best success coming in 2015 (6-4 with a 3.49 ERA and 78 Ks over 105.2 innings). His minor league resume (26-15 with a 3.18 ERA and 365 Ks over 365.2 innings) paints a truer picture of his major league potential. 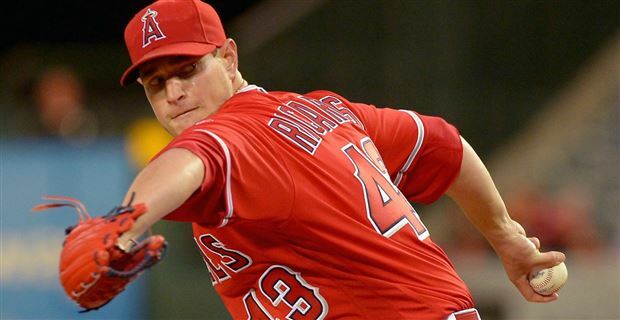 With another six months to get healthy, Andrew has a much better chance of being a viable arm with the Angels. Enough talent to post a sub 3.50 ERA with question upside in his Ks and depth in innings. Bridwell pitched well for the Angels in 2017 despite a poor minor league resume (33-47 with 4.74 ERA and 626 Ks over 693.2 innings). He went 10-3 with a 3.64 ERA and 73 Ks over 121 innings in the majors. In the minors, Parker struggled with his walk rate (4.0) with a respectable K rate (8.1). In LA, he found his command (2.2 walks per nine) while losing his K ability (5.5 per nine). Bridwell had the same value against righties (.252 BAA) and lefties (.252 BAA), but he had a weaker BB:SO ratio (20:32) vs. LH batters. HIs AFB (93.0) is league average. Batters had a tough time against his curveball (.165 BAA) and changeup (.219 BAA) while needing work with his four-seam fastball (.315 BAA) and cutter (.284 BAA). Tough to believe in his arm long-term even with his success in the majors. Decent fall back plan for Los Angeles with downside risk in ERA and WHIP with a step back in his strike-throwing ability. In 2017, he outpitched his career resume. Over four seasons in the minors, Jaime has a 24-24 record with a 3.46 ERA and 315 Ks over 392.2 innings. His arm showed growth in 2017 at three levels (2.80 ERA with 117 Ks over 141.1 innings). Barria has a low walk rate (1.7) and a short K rate (7.2). He throws a low 90s fastball with a changeup that projects well. HIs curveball is about league average. Jaime is expected to start the year at AAA. His command can only carry his so far. Barria still needs some seasoning to develop his secondary pitches with a chance of adding more velocity on his fastball down the road. Player to follow this spring, but he looks more in line with a backend inning eater. Parker spent nine seasons at AAA (3.08 ERA, 320 Ks, and 85 SVs over 274.1 innings) before making a meaning impression in the majors. In 2015, Blake pitched his way out the minors. 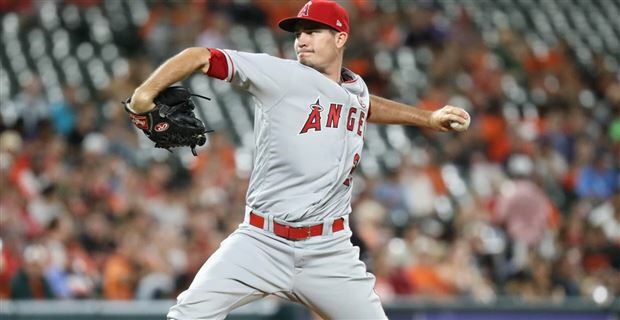 A couple of disaster outings over his first 15 games in 2017 (six runs and seven baserunners over two innings) led a questionable start (4.85 ERA) by Parker with the Angels. Over his next 37 games, he had a 1.02 ERA and 40 Ks over 35.1 innings putting close to the ninth-inning for saves. After a bad game on August 6th (three runs and three baserunners over two-thirds of an inning), Blake tossed 11 shutout innings with 13 Ks leading to a closing role (four saves). He struggled over his last seven outings (6.14 ERA). His AFB (94.0) was career high with batters hitting .179 against it. He throws a plus split-finger fastball (.156 BAA). Parker has a short resume of success in the majors making a risky closing option in 2018. Looks the part if he repeats his command (2.1 walks per nine), but I would buy an insurance card. Bedrosian went from electric in 2016 (1.12 ERA) to shocking last year (4.43 ERA) due to an early season groin injury. In April, Cam didn’t allow a run while converting three of four saves. His groin issue led to two months on the DL and the loss of the ninth inning. He threw the ball well over next ten games (2.89 ERA and 12 Ks over 9.1 innings) before losing his way (eight runs and ten baserunners over 4.1 innings). After 11.2 shutout innings with 14 Ks, Bedrosian couldn’t avoid disaster over the last five weeks of the season (7.82 ERA and .302 BAA). His K rate (10.7) remains in an area of strength while battling a higher walk rate (3.4). He pitched well against both RH (.242 BAA) and LH (.238 BAA) batters. Cam lost velocity on his fastball (94.3 – 96.0 in 2016). His slider (.184 BAA) remains his out pitch. A shady minor league resume (4.42 ERA) and limited success in the majors (3.99 ERA) does paint a cloudy pitcher of his value going forward. With better command and more life on his fastball, his stuff could be closer-worthy. Only a flier. After a nice 2016 season (3.06 ERA and 20 saves), Johnson lost his way in June last year. Over the first two months of the season, Jim had a 3.32 ERA, 24 Ks, and 11 SVs over 21.2 innings. He had a 6.94 ERA and 1.800 WHIP over his last 35 innings of the year. His K rate (9.7) was a career high, but he had a big decline in his walk rate (4.0 – 2.9 before 2017). HIs AFB (93.8) was a career low with two straight years of regression. Johnson still pitched well with his curveball (.179 BAA), but his sinker (.304 BAA) lost its edge. He had success vs. righties (.244 BAA) with failure against LH batters (2.78 BAA). Over the last four seasons, Jim has a 4.92 ERA with 221 Ks over 241.1 innings making him extremely tough to trust in the 9th inning even with 176 career saves. Possible bounce back, but he’ll be a waiver wire option in almost every league in 2018.